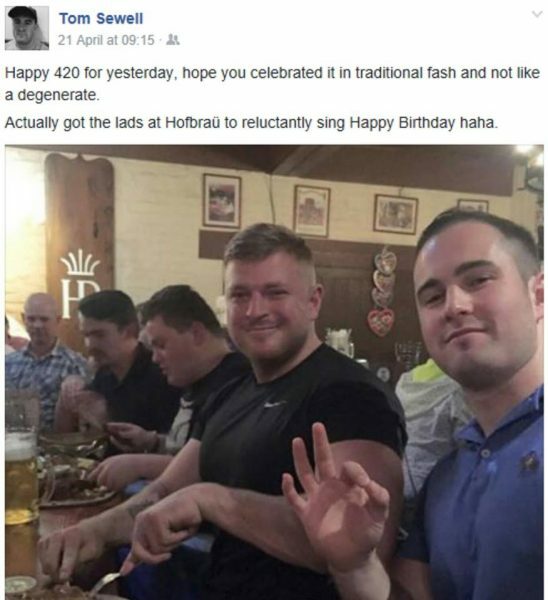 • Finally, unlike anti-Semitism, (neo-)Nazism has obviously never been a Big thing in Australia, but in the wake of Reclaim Australia, a small number of younger adherents to neo-Nazi doctrines have been inspired to take action, and the UPF helped to give birth to one of the latest additions to the milieu: ‘Antipodean Resistance’. 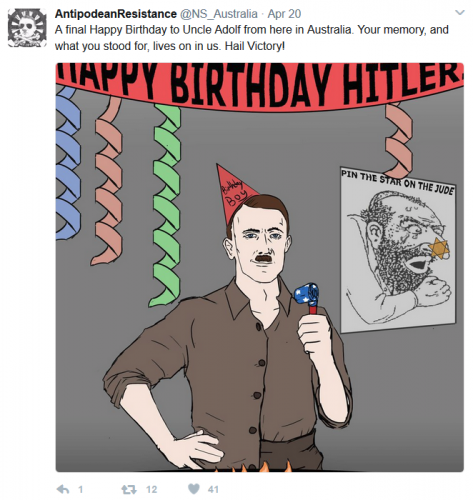 Having previously plastered Swinburne University and the University of Melbourne in propaganda, like the leadership of the UPF, they too celebrated Hitler’s birthday in style. See also : Holocaust denial materials prompt concerns after distribution at Australian universities, Jordan Hayne, ABC, April 24, 2017. 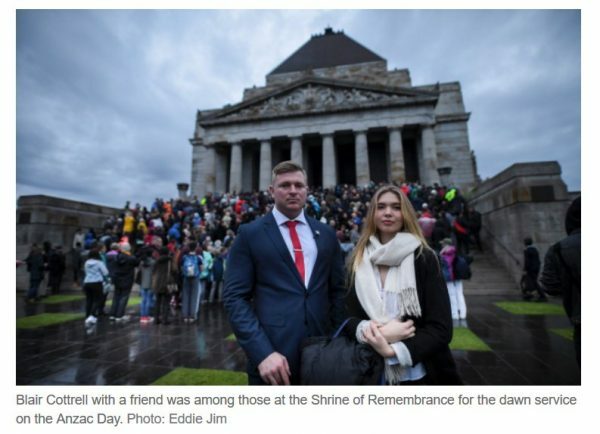 This entry was posted in !nataS, Anti-fascism, Death, History, State / Politics, That's Capitalism!, War on Terror and tagged Antipodean Resistance, ANZAC, ANZAC Day, ANZAC Day 2017, Blair Cottrell, Hofbräuhaus, Jewish Holocaust Museum and Research Centre, Melbourne, neo-Nazi, neo-Nazism, Phill Galea, Phillip Galea, Shrine of Remembrance Melbourne, Thomas Sewell, United Patriots Front. Bookmark the permalink.